OWATONNA, Minn., May 23, 2016 – Southern Minnesota Initiative Foundation (SMIF) announced the launch of the Grow a Farmer Fund at May 3’s Slow Money Minnesota meeting in St. Paul. This fund is organized in partnership with Slow Money Minnesota and other collaborators through the FEAST Local Foods Network, including Renewing the Countryside. It is intended to provide lower interest loans to farmers, initially in SMIF’s 20-county region of south central and southeastern Minnesota. The goal of the Grow a Farmer Fund is to raise $100,000 by September 1. The funds will support a revolving loan fund that makes low-interest loans to small-scale farmers. SMIF provided the initial $25,000 as a matching grant to help launch the fund. 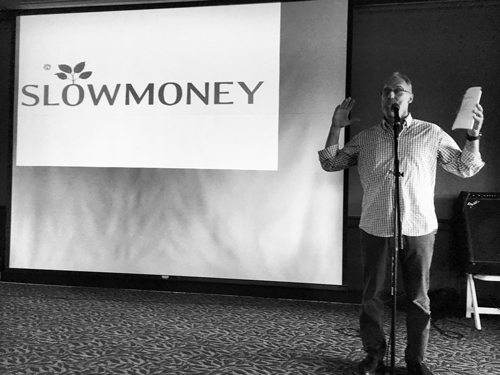 An additional $7,000 was raised at the unveiling of the fund on May 3, where investors, food entrepreneurs, and those interested in supporting a stronger local economy in Minnesota gathered to hear from Woody Tasch, founder of Slow Money. “We see the Grow a Farmer fund as a natural fit to the Foundation’s mission of promoting regional economic opportunities and collaborations,” said SMIF President & CEO Tim Penny. “We as a society and as an economy need to start optimizing for a large number of small things, not just relying on a small number of large things,” writes Woody Tasch, founder of Slow Money Alliance. Anyone interested in supporting the Grow a Farmer Fund can donate at SMIF’s website: https://smifoundationorg.presencehost.net/philanthropy/community-foundation-giving/grow-a-farmer.html. 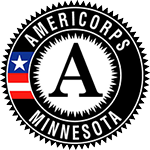 Learn more about the fund and Slow Money Minnesota. Stay tuned for summer fundraiser events, where delicious local foods will be featured!